Remember when you were a kid and your parents told you that chocolate milk comes from brown cows? Well, apparently some people actually believed them, and still believe them well into their adult life. The Innovation Center for U.S. Dairy conducted a survey in April, which asked some pretty basic questions about milk to more than 1,000 adults. Rather worryingly, 48 percent of respondents said that they aren’t sure where chocolate milk comes from. But things get worse. Another 7 percent claimed that they did know the origin of chocolate milk — it comes from brown cows, of course. Seriously, people? The Washington Post did the math and that works out to be 16.4 million Americans, or the entire population of Pennsylvania and change. In case you're one of these people, chocolate milk is just milk flavored with cocoa beans. And if that wasn't bad enough, 37 percent of Americans secretly drink milk straight out of the container, while another 29 percent use their kids as an excuse to buy chocolate milk for themselves. And despite healthy lifestyle diets becoming more and more popular, only 5 percent abstain from drinking milk altogether. But these figures are an improvement on a Department of Agriculture study commissioned in the '90s that found 1 in 5 adults were unaware that hamburgers are made from beef. Many were unaware of basic concepts of farming, such as what food animals eat. And when another group interviewed fourth-, fifth- and sixth-graders in a California school, they found that more than half didn't know pickles were cucumbers, or that onions and lettuce were plants. 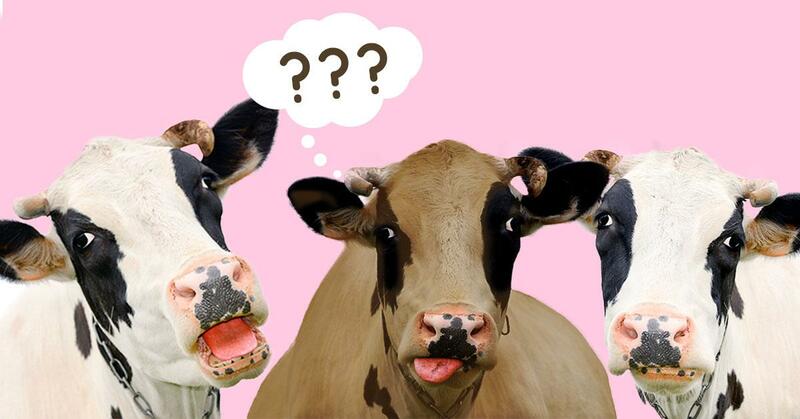 While 4 in 10 didn't know hamburgers came from cows, and 3 in 10 were unaware that cheese is made from milk. Cecily Upton, co-founder of the nonprofit FoodCorps, told Washington Post that she blamed lack of food education. “At the end of the day, it’s an exposure issue. Right now, we’re conditioned to think that if you need food, you go to the store. Nothing in our educational framework teaches kids where food comes from before that point."